Caleb Thomas was a three-year starter along the line of scrimmage for University Christian and will remain here in Jacksonville to play college football. 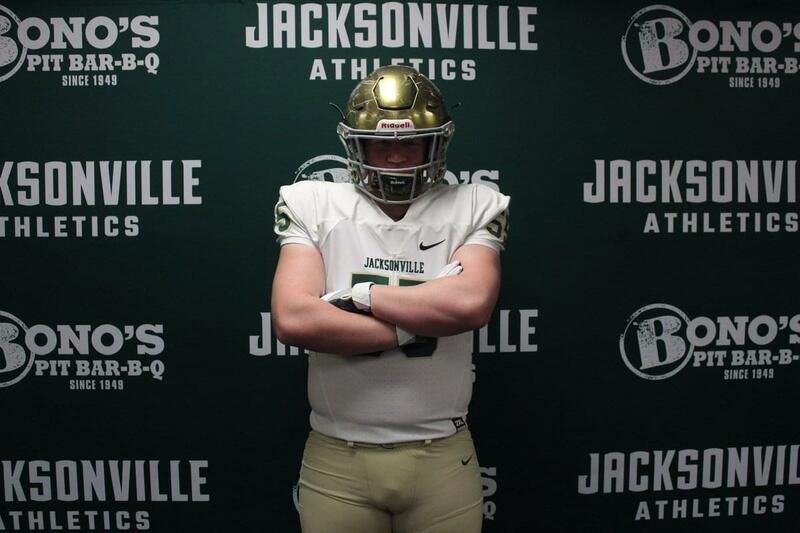 Thomas committed to Jacksonville University over the weekend and sat down with 1010XL to discuss his. “I went up to take an official visit to Marist this past weekend,” Thomas told 1010XL. “I went up there and it was kind of cold a little bit. I had taken my official visit to Jacksonville University two weeks before that and there was a difference I felt between Marist and JU which were the two schools I was considering for my commitment. Thomas was asked how he feels to be able to play college football in his home town. “I’m excited about it,” he said. “A lot of different recruits like to get away. I’m for sure going to live on campus when I go to JU, so I’m not living at home because I want to get away too, but I love Jacksonville. I love being able to stay local and be able to represent Duval in college. Head coach David Penland has done great things with the University Christian program in recent years; Thomas talked about how much Penland meant to him. “Coach Penland has meant so much to me,” he said. “I’ve been playing football at University Christian since the sixth-grade. Everybody at University Christian is very close at the Penland’s have been there for a long time. Thomas played on both the offensive and defensive line at University Christian; where does he plan to play at JU? “I think with my height, I’m going to play offensive guard, or maybe even some center,” Thomas said. Thomas is thankful for this opportunity at Jacksonville University.